Honda Civic Saloon Running Costs, MPG, Economy, Reliability, Safety | What Car? 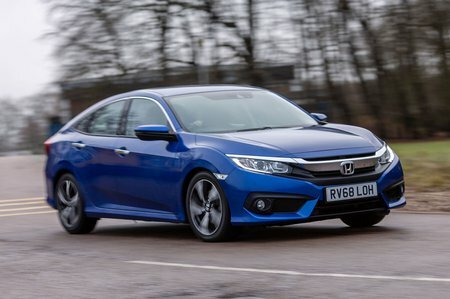 Broadly speaking, the Honda Civic is priced in line with the Volkswagen Golf. That means it's cheaper to buy than an Audi A3 Saloon but is quite a bit pricier than a Skoda Octavia or Vauxhall Astra. It won't hold onto its value quite as well as its German rivals, or indeed the hatchback version of the Civic, but depreciation isn't horrendous. Honda is also competitive when it comes to PCP finance deals. The turbocharged 1.0-litre petrol unit is a fuel-efficient choice that would be our pick for private buyers. That said, an equivalent A3 or Golf pumps out less CO2 and – officially, at least – is more economical. The 1.6-litre diesel is one of the cleanest and most fuel-efficient oil-burners on the market and there's no doubt that the low CO2 emissions will keep company car tax bills down. 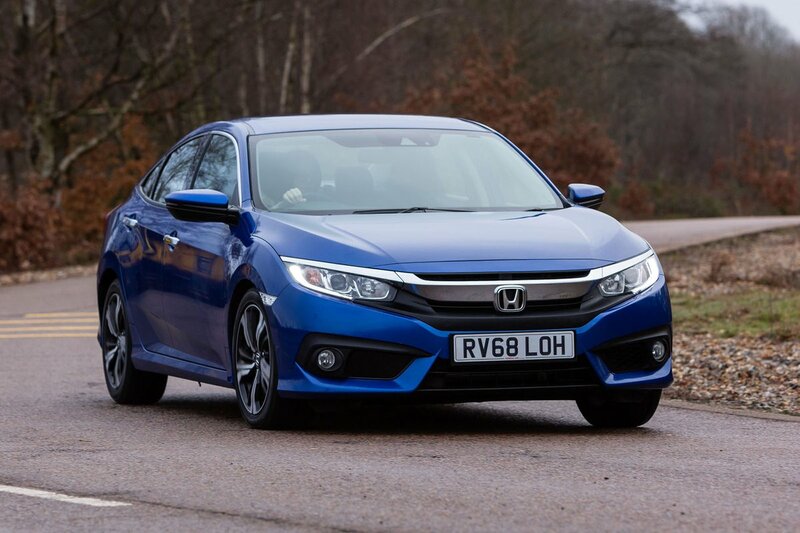 It doesn’t, however, offer a compelling enough package to tempt us to change our pick of the Civic range. Our favourite 1.0-litre petrol version is cheaper, more refined and a better match for all but company car users or those covering seriously high annual miles. There’s no option of S trim on the Civic Saloon so the range kicks off with SE. Although that brings basics like climate control, alloy wheels, and a DAB radio, we’d upgrade to SR. 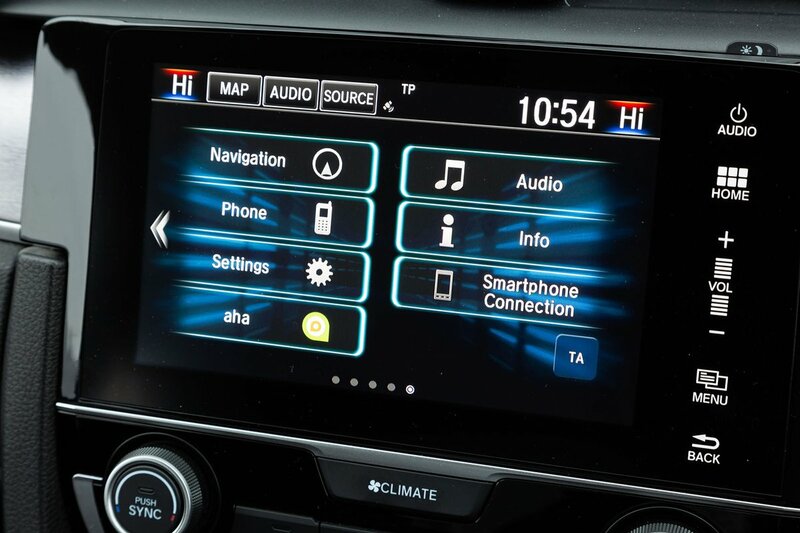 This gains a 7.0in touchscreen infotainment system with sat nav, Apple CarPlay and Android Auto, a rear parking camera, front and rear parking sensors, rain sensing wipers and adjustable lumbar support. EX trim adds a few luxuries, but it’s a fair bit more expensive than our favoured SR trim. Honda might have a great reputation for reliability, but the brand finished mid-table in our most recent reliability survey, and the Civic itself landed among the bottom quarter of family cars. A three-year warranty is standard, but unlike the common 60,000 mile limit, Honda covers you for up to 90,000. Honda has included an extremely competitive amount of safety equipment as standard across the Civic range. Beyond its six airbags, every car gets automatic emergency braking, lane departure warning, lane-keep assist, adaptive cruise control, traffic sign recognition and intelligent speed assist. Blindspot monitoring is standard, too, on EX trim. In Euro NCAP crash tests, the Civic scored well for keeping adults safe inside. However, Euro NCAP highlighted that the Civic isn’t especially good at looking after kids in the rear. Tests indicated that a 10-year-old child could be vulnerable to chest injuries in a forward collision and head injuries during a side impact. The consequence of that is an overall NCAP rating of four stars, compared to five stars for almost everything else in its class.